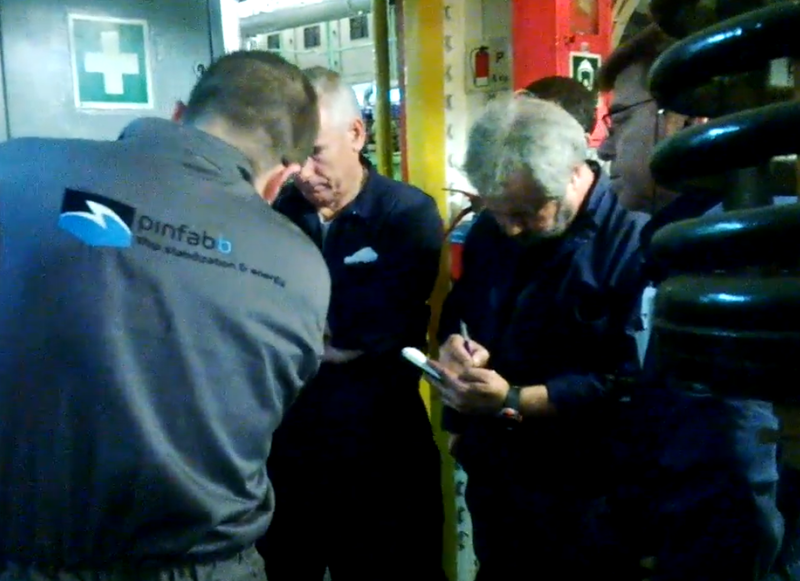 Thanks to its unique expertise collected during more than 30 years of work on the field, Pinfabb SRL can offer a professional and valuable technical consulting for any ship owner or operators that need to perform some maintenance, dry-dock, retrofit, repair work on the stabilizers plant. Our skilled staff can support the ship technical management into evaluating the condition of the plant and, if a repair is needed/recommended, we can advise on the most effective, fast and convenient way to put the system in working operation with reliability. Since the stabilizers plant is a complex (and not always deeply known) system, a valid and independent partner who knows well every plants, worldwide available, with repairing solutions and right costs, is strategic for a proper decision making that will bring the owner to obtain stabilizers working with the very best technical/economical rate. Technical report on the plant condition. More than a single proposal for maintenance/repair. Possibility to manage the work with one Pinfabb Supervisor Engineer in place who will supervise the maintenance/repair works and manage contacts between shipyard/repairing companies and the ship management. Free advice on the best channel to obtain the best market price for spare parts. Crew training and familiarization with the stabilizers plant operations and preventive maintenance tasks.